Texas Conservative Republican News: Beaumont ISD Raided by FBI – Admins Stole Millions – Texas to Take Over School District? Beaumont ISD Raided by FBI – Admins Stole Millions – Texas to Take Over School District? The Federal Bureau of Investigation has raided the Beaumont Independent School District and homes of two top School Officials. The FBI is assisting the US Attorney’s Office investigate allegations that School Officials created bogus accounts to steal money from the school and from the taxpayers. There is no official figure but rumors are that the total stolen could be in the millions of dollars. No one should really be surprised at this I suppose. 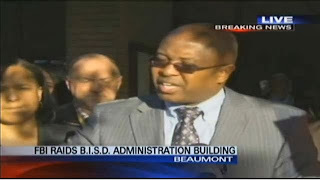 We are talking about the notoriously corrupt Beaumont ISD. I have written several articles about Beaumont ISD corruption in the last few years and I never even scratched the surface. My most recent article about Beaumont ISD was only a couple of weeks ago and was about a Federal Judge ruling the Beaumont ISD/DOJ election was illegal and also about BISD paying a top Administrator, Jessie Haynes, to be a fugitive. The Texas Education Agency is currently investigating BISD. It is believed that the TEA discovered the mismanaged money trail and contacted the Federal Authorities which led to the raid. The State of Texas denies that they knew anything of the FBI raid and the TEA says their investigation is unrelated to what the FBI is investigating. Will this latest incident be the straw that breaks the camel’s back and forces the State of Texas to take over Beaumont ISD? This would not be the first time. Beaumont ISD has a long history of corruption and the State of Texas has had to take over the School District at least once before. BISD School Board Member Mike Neil has been fighting to correct problems in the school district ever since he was elected. 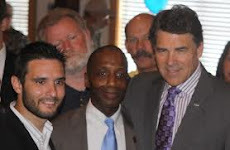 Neil told KFDM Channel 6 News in Beaumont, "There's no doubt in my mind there's been corruption in the past," said Neil. "Whether or not there's currently corruption, I'm not going to say. But there's no doubt in my mind this is not a correctly run district, especially from a business standpoint." Thanks for a great story. For the tax payers of Beaumont we are very happy, that finally something has happened.